A picture of the camera stolen from SABC crew on Tuesday, 16 April. Picture: YouTube. JOHANNESBURG - Reporters from the SABC have yet again been hit by a group of thieves, this time in Alexandra north of Johannesburg. The national broadcaster's Natasha Phiri and Sbu Mcedane were accosted by unidentified men on 11th Street, who made off with a camera while members of the public allegedly stood by even as one of the reporters screamed for help. The SABC has been hit by a number of recent robberies while on the field, with three previous incidents caught on camera. In November 2018, an unidentified woman was caught on CCTV camera stealing SABC equipment at the state capture inquiry venue in Parktown, Johannesburg. 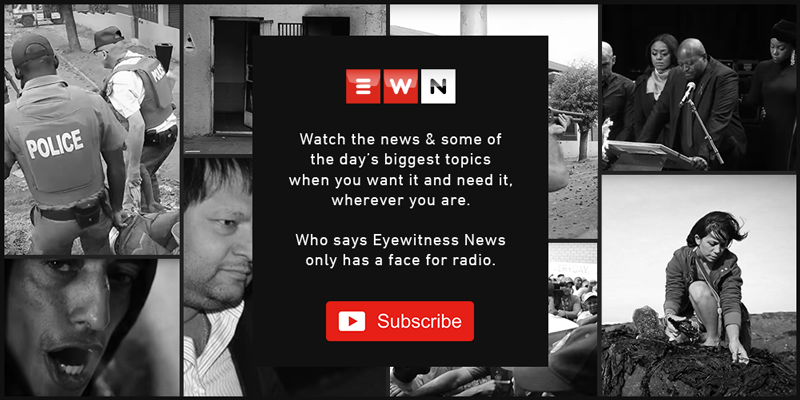 In April 2018, while filming the widespread protest in the North West, robbers were caught stealing SABC equipment from a parking lot. In 2015, while filming outside the Milpark Hospital in Johannesburg where the President of Zambia has been hospitalised, SABC crew and former journalist Vuyo Mvoko were robbed of cellphones and other belongings during a live crossing. The SABC said it had reported the Alexandra incident to police and warned members of the public against buying the camera, identified in photos, if approached by anyone selling it.